St Luke’s Primary and Nursery School in Newham has successfully achieved the national award for Inclusion. St Luke’s Primary and Nursery School is a happy and welcoming school providing a safe and supportive environment. The school’s inclusive ethos is evident in all its work including the changes that have taken place this year. The school has a new Headteacher from October 2016 who is new to the school. The previous Headteacher was in post for twenty years and significant, positive changes have taken place this academic year. The senior leadership team includes the Headteacher and two Deputy Headteachers, one with responsibility for inclusion and the other for curriculum and teaching and learning. The school has a morning nursery and is one form entry from Reception to Year 6. Majority of pupils are of black African heritage and the school has increasing numbers of pupils from Eastern Europe. There is a high proportion of pupils who have English as an Additional Language. The school is situated in an area of Newham with high levels of deprivation. The building was purpose built with the school moving to the premises in 2000. It has shared use with the local Church of England church. St Luke’s CEVA Primary and Nursery School has made progress in terms of its inclusive practice since its last IQM assessment and there are positive changes that have taken place. As such, I am of the opinion that the school fully meets the standard required by the Inclusion Quality Mark. There are some areas requiring development, the school is aware of these and is acting proactively towards addressing these. 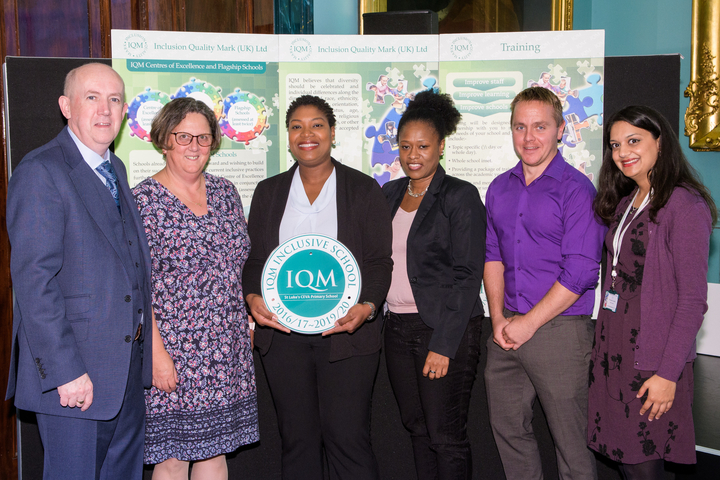 I recommend that the school be awarded the Mark and considers applying to become an IQM Centre of Excellence in two to three years’ time.